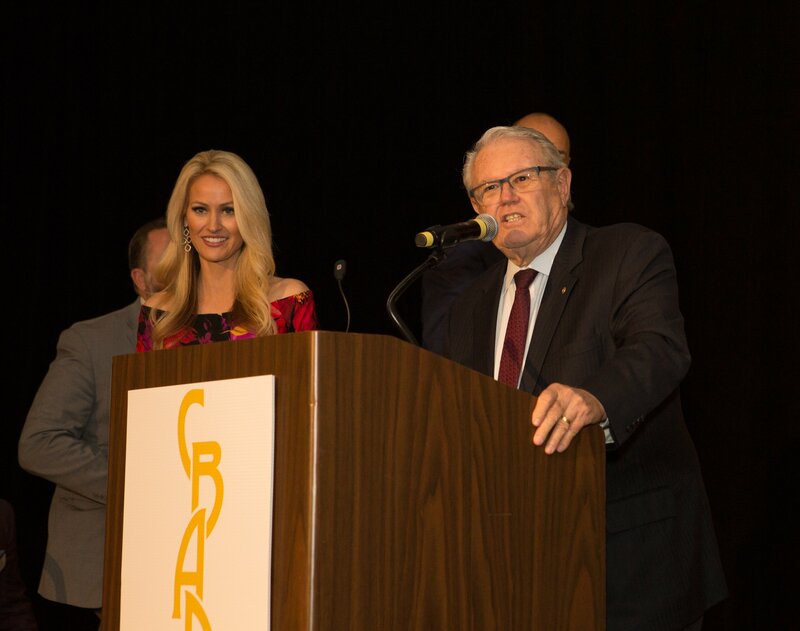 The best companies in North County San Diego and inspiring business leaders from the region gathered at the Carlsbad Business Achievement & Distinction (CBAD) Awards Luncheon: A New Horizon, organized by the Carlsbad Chamber of Commerce. 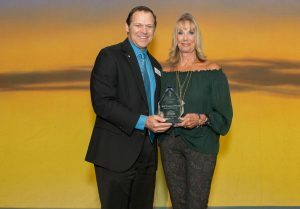 President & CEO of the Carlsbad Chamber of Commerce, Bret Schanzenbach, present the Lifetime CBAD Award to Founder & CEO of Jazzercise, Inc. Judi Sheppard Missett. Hosted at The Westin Carlsbad Resort & Spa, the #CBADAwards recognized outstanding businesses, large and small, in six categories: The Risk-Taker Award, Beat the Odds Award, Women Championing Women Award, Community Footprint Award Nonprofit, Community Footprint Award Forprofit, Best Place to Work (Small Business) and Best Place to Work (Large Business) awards. The highlight of the afternoon was the Carlsbad Chamber of Commerce’s presentation of the Lifetime CBAD Award to Founder & CEO of Jazzercise, Inc. and event keynote speaker, Judi Sheppard Missett, on the 50-year anniversary of the company she started five decades ago. Judi Sheppard Missett, embodies the values represented in all categories of this year’s #CBADAwards. A #risktaker, who opened a business in an industry that was just starting to catch people’s attention, Sheppard Missett #beattheodds, by being a a #womanchampioningwomen, to leave a positive #communityfootprint not only in Carlsbad but in the world, while making Jazzercise, Inc. a #bestplace to work. KUSI News Anchor and North County local, Lauren Phinney, acted as master of ceremonies while La Costa Canyon High School student, Gabriela Beltran performed the National Anthem. 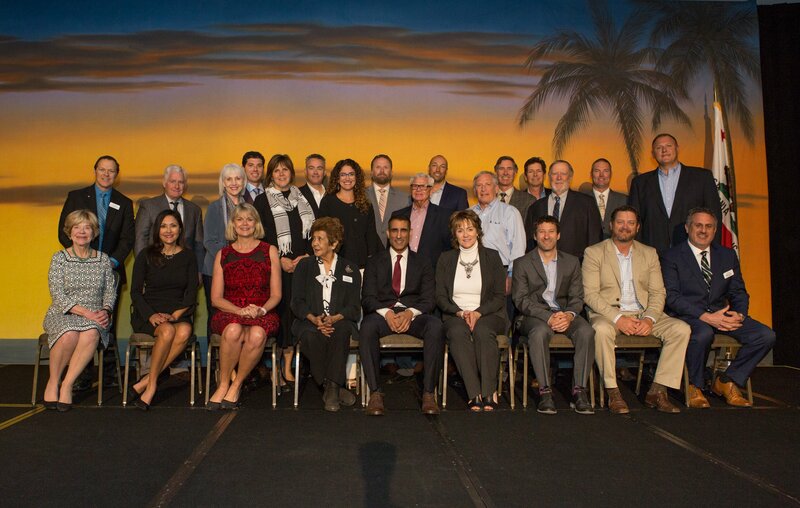 The event also marked the installation of the 2019 Board of Directors led by City of Carlsbad Mayor Matt Hall. KUSI News Anchor, Lauren Phinney and City of Carlsbad Mayor Matt Hall. 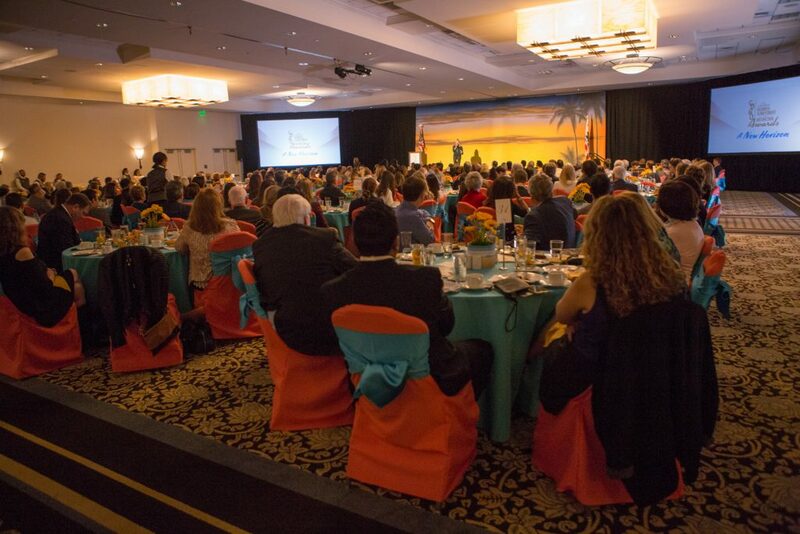 Sponsors for the #CBADAwards included Grand Pacific Resorts, Legoland, Tri-City Medical Center and Wells Fargo. Table sponsors included AT&T, Scripps, SDG&E and Waste Management.